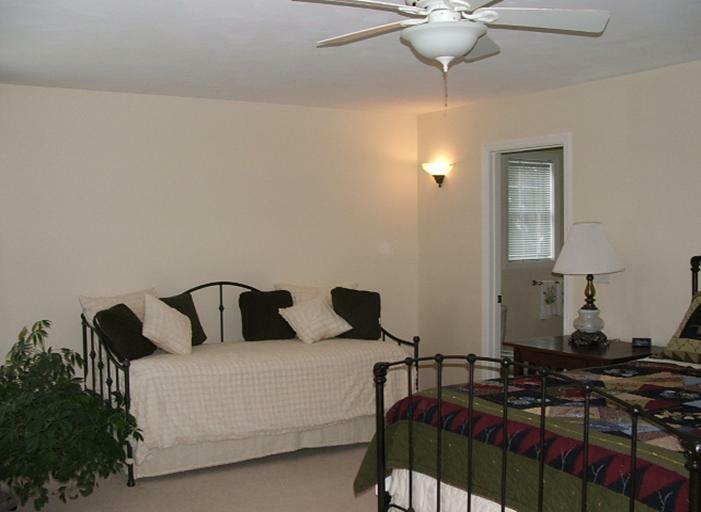 The two front bedrooms are Old White and River Room. 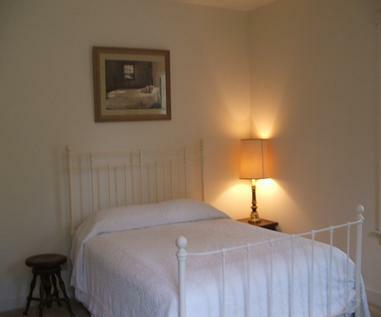 Old White is named after the dog that appears in the painting that hangs over the bed. The River Room faces the Yough River. 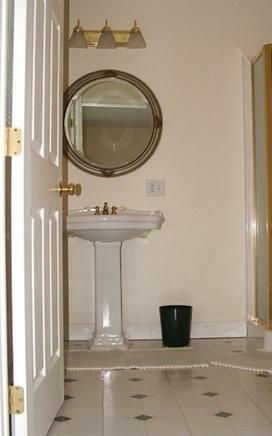 The two rooms share a bathroom in the hallway between them and, because they share a bathroom, they are priced lower. 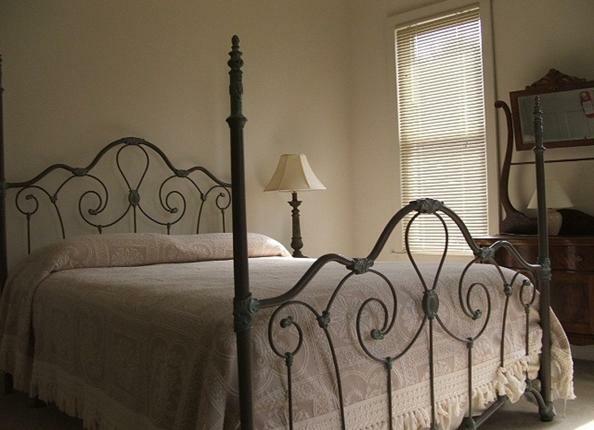 These rooms are ideal for family members or several friends traveling together who wish their own room and appreciate the price reduction. The rate is $80-$90/night plus taxes. 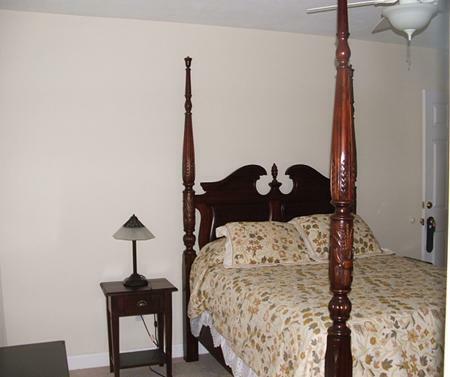 The remaining five bedrooms have private bathrooms. 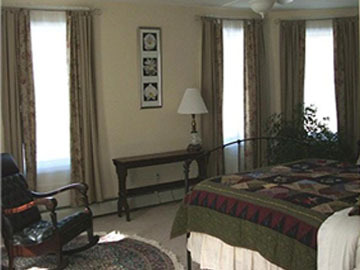 The Oak Room is our most handicap-friendly room. 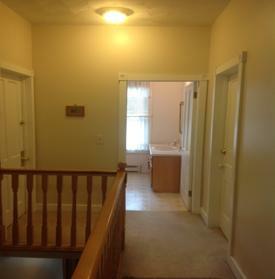 It is located on the first floor and it is easily accessible from the back door ramp. It has a sit-down shower unit. The rate is $105-$115/night plus taxes. The Maple Room has a beautifully carved Maple poster bed. 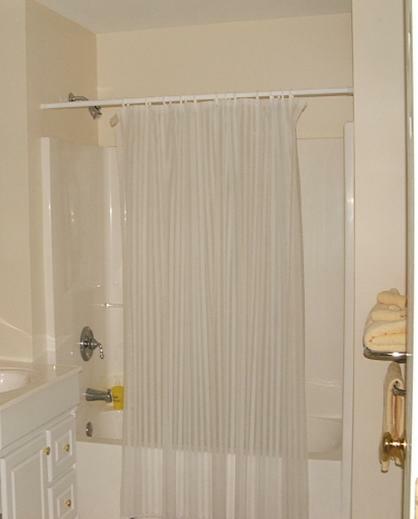 The private bathroom has a tub / shower unit. 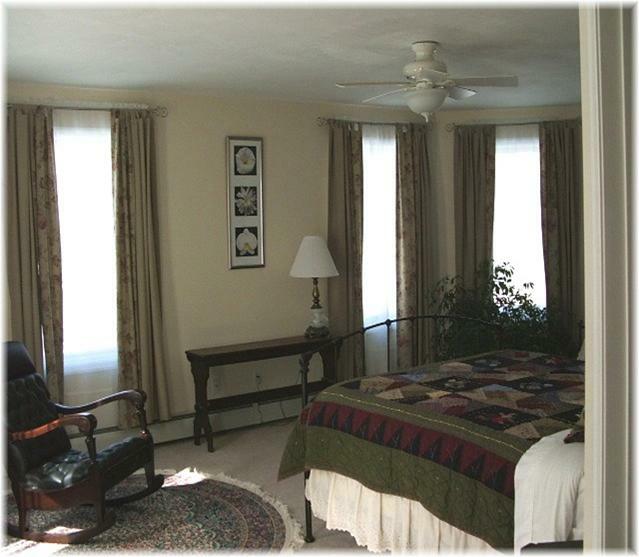 The Twin Pines room is one of our most popular rooms because it has two queen beds. The private bathroom has a corner shower unit. 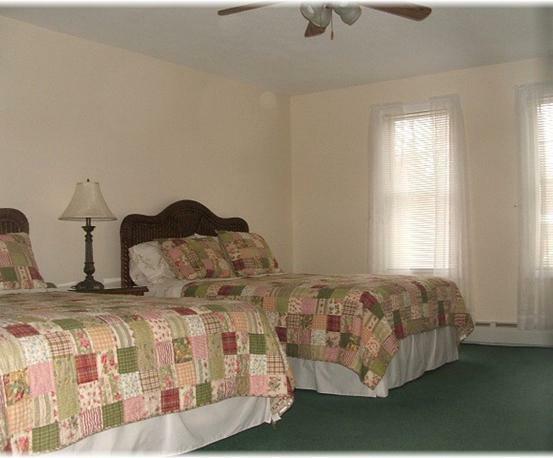 The Twin Pines room is one of our most popular rooms because it has two queen beds. The private bathroom has a corner shower unit. The rate is $105-$115/night plus taxes. 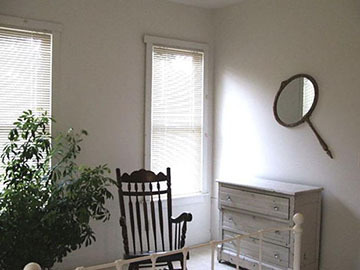 The Sycamore room is named for the big Sycamore tree that is just outside its windows. 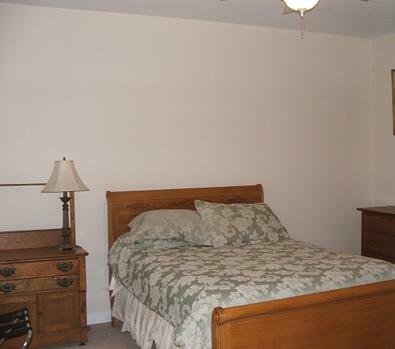 The room has an oak bed and dresser. The antique dresser is from the old hospital in town. 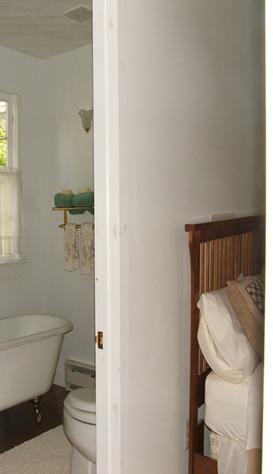 The private bathroom has a corner shower and large old claw-foot soaking tub. The fee is $90-$105. The Sycamore room is named for the big Sycamore tree that is just outside its windows. 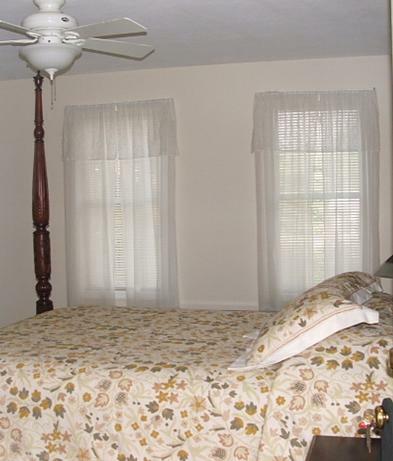 The room has an oak bed and dresser. The antique dresser is from the old hospital in town. 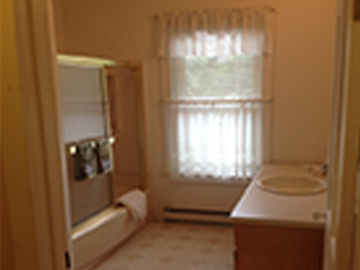 The private bathroom has a corner shower and large old claw foot soaking tub. The rate is $105-$115/night plus taxes. Mary's Tree House is the master bedroom. The room is named from literally being carved out of the tree tops. A number of large branches from the 200 year old Sycamore tree in the front yard had to be trimmed in order to put on the roof! The five windows are on the river side of the house. 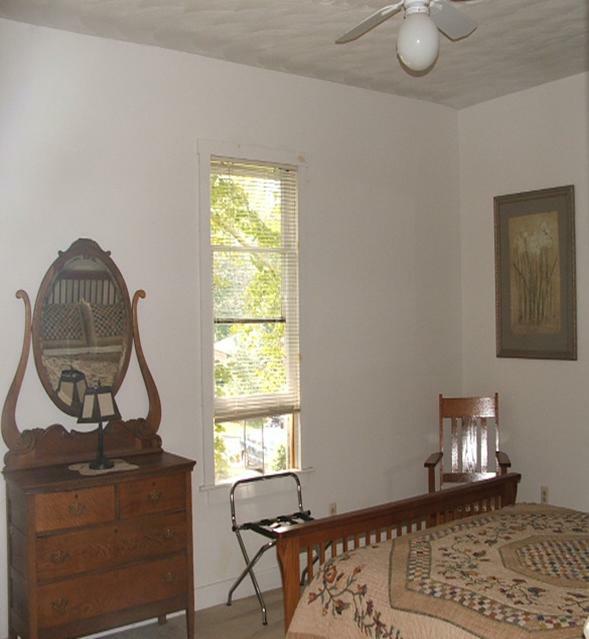 The antique rocker is from the nurses' quarters of the old hospital in town. Mary's Tree House has one queen bed and a single day bed. 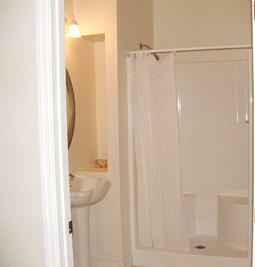 The private bathroom has a large soaking tub / shower unit. The rate is $125/night plus taxes.